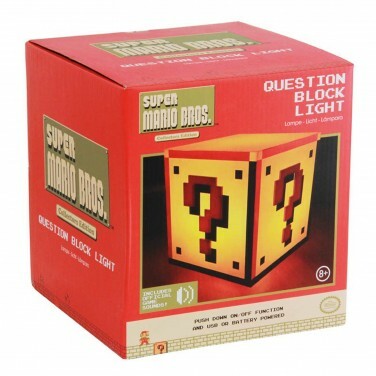 A famous icon from the beloved game Super Mario Bros, this question block light delivers a bonus everytime! 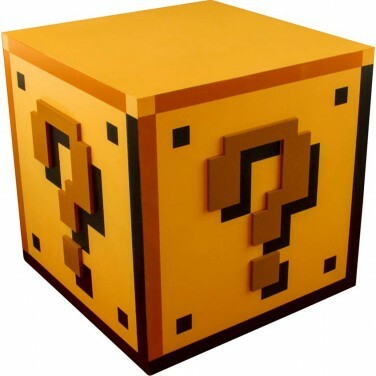 A collectors edition lamp for fans of the iconic game, the question block lamp has a press to activate function so that all gamers have to do is press down to switch on or off again. 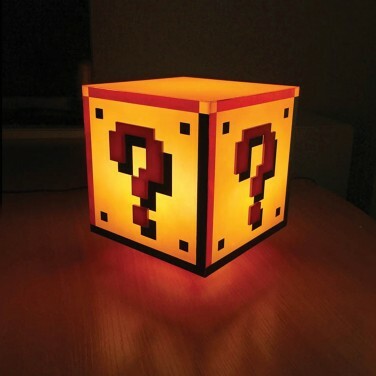 Complete with official game sounds, this iconic lamp is a must for gaming fans and makes a fantastic night light. Nintendo's most famous character Super Mario comes to life with light night after night with this iconic character light!